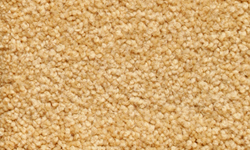 There are 6 general types of carpet manufacturing methods. Each carpet type varies depending on the carpet material, carpet style, its endurance and where the carpet is installed (e.g. indoor or outdoor use). And of course the different carpet type also affects the price of the carpet; like many other things the price is reflected in the complexity of its design and manufacturing processes. This is the most common and cost effective method of carpet manufacturing. 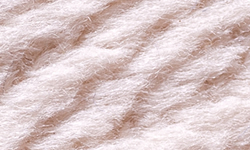 The yarn is threaded through a polypropylene backing forming small loops or “tufts”. Another backing is then adhered to it to strengthen and fix the tufts permanently in place. Most common carpets are manufactured in this manner. The woven carpet is manufactured in a loom. This is the method of manufacture where the weft and the warp are woven together rather than stitched through a backing as with the tufted yarn. 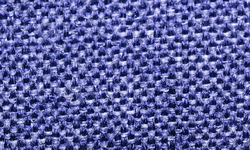 This allows the use of large amounts different coloured yarns to be used. Usually manufactured with 100% wool fibre or blended with synthetic fibres. This type of carpet is manufactured using electrostatic flocking technology. It is backed with a rubber backing. Manufacturing carpet this way allows for very intricate patterns to be created with large amounts of colours. There are approximately 80 million straight standing fibres per square metre, 10 times more than that of carpets. This results in a very durable, resilient, soil resistant, and waterproof product that has excellent appearance retention. Installation is only by direct stick method. 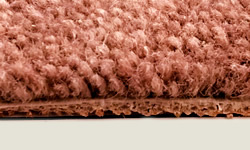 As suggested, this carpet is manufactured by having the fibres needle-punched into a backing. Once again it is then backed to provide stability. This also provides an extremely durable carpet. Installation is only by direct stick method. 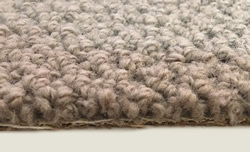 Predominantly an indoor – outdoor carpet, this carpet is constructed by bonding the carpet fibres to the backing or base of the carpet. In some carpets the fusing of the backing creates a waterproof barrier. Artificial grass and patio carpets are the most popular types of this manufacturing process. Installation is only by direct stick method or loose lay. 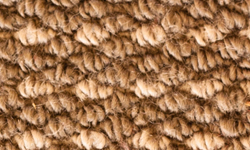 Coir is a natural product that is basically a woven product. Usually backed only with Latex backing to stabilise it.